Marianne loves the strong contrasts and tactile qualities inherent in etching and lithography. For her, printmaking is an extension of drawing, a fundamental means of expression and she sees a clear analogy between the processes she uses and her subject matter. Her work is based on a series of journeys to distant places to study the natural environment and its wildlife. Marianne's most recent work is based on two specific locations: the most southern coast of Africa at Hermanus and the landlocked northern rainforests of Laos. 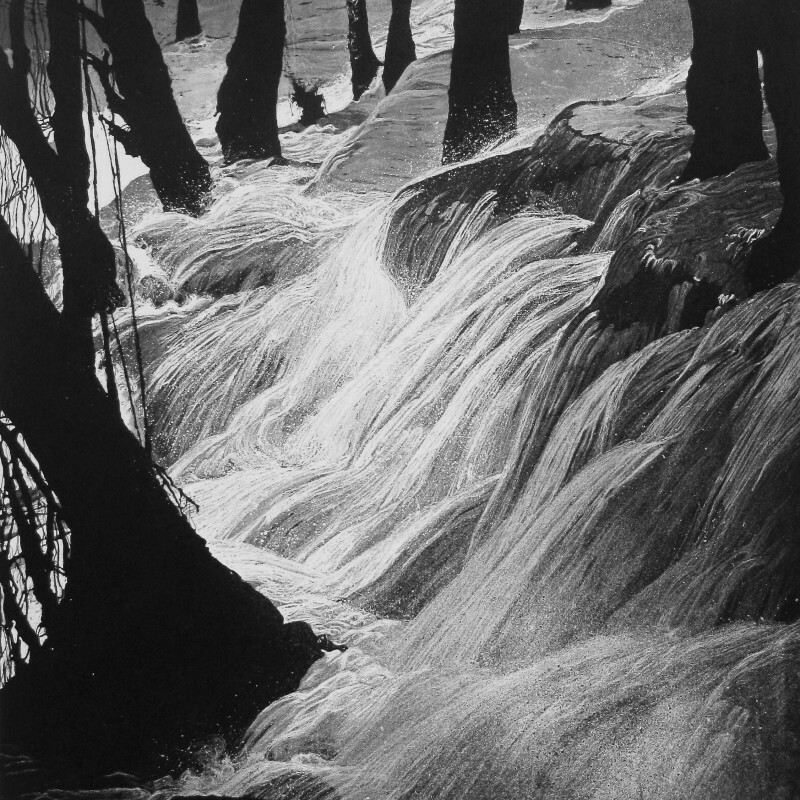 Water is an important and re-occurring motif in Marianne's work. She am enthralled and excited by the energy and dynamism exhibited by its movement across the Earth’s surface. She likes to depict waterscapes in a state of continual physical transformation, of stasis and flux, creating vivid juxtapositions of light and form, which reflect the rhythms and cycles of the natural world. She hopes to convey the essence of the experience to the viewer, by stripping away superfluous narrative and allowing them to attribute meaning and relevance based on their subjective memory and experience.